This Japanese ramen joint is about as authentic as you can find without boarding a Japan-bound airplane. 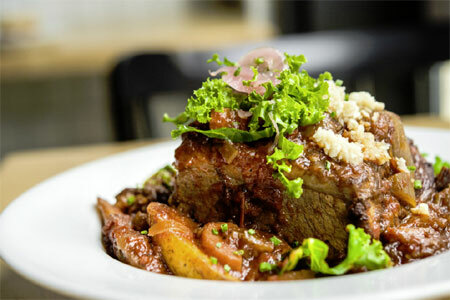 : This chain’s first foray outside of Japan, Ippudo in the East Village serves up an array of comforting Japanese fare. 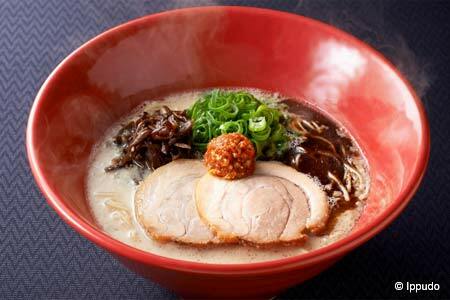 But the reason most Japanese food cognoscenti come here is for the tonkotsu ramen, a rich and complex pork-flavored broth with nicely cooked thin, al dente noodles. There are three kinds, all of which vary in depth and spiciness. Other dishes---or, rather, their descriptions---don't exactly jump off the menu, but they will make your taste buds leap. Pork on rice, for example, might not sound exciting, but this bowl of ultra-tender pork mixed with diced veggies and garlic could induce tears when it’s empty. The chic setting, loaded with kitschy ’60s-esque furniture and plenty of near-disorienting mirrors, is a feast for the eyes.